Indiranagar is an elite neighborhood, with bustling commercial spots like the CMH and 100 feet road and quaint residential roads a stone’s throw away from each other. The area began as a BDA layout in the 80s and was named after India’s Prime Minister Indira Gandhi. What began as a largely residential area with imposing bungalows turned into a commercial and residential hub with the invasion of the IT phenomenon. Today Indiranagar is renowned for being one of Bangalore’s most expensive neighborhoods. With a mix of people from all over India and other countries, the area is a melting potpourri of cultures and races. With such a vast consumer base, the range of consumer products available in the area is naturally high. Pubs, nightclubs and cafes are in no short supply with the latest sensations opening every other month. In order to serve the hungry crowd that troop into the area every morning, breakfast places are often engaged in a stiff competition for the larger consumer base. Here is the lowdown on the best restaurant places in the area. If you have been on the lookout for quality Tamilian style food, then Madurai Idly Shop is the answer to your prayers. A small self-service restaurant, the Madurai Idly Shop has consistently been serving quality food to loyal patrons who swear by the soft idlies. With the décor and ambiance being comparable to every other darshini style eatery, the food is the only reason Madurai Idly Shop stands out from the crowd. With expensive eateries all around the area, this is one of a few handful of restaurants that continues to serve quality South Indian food at a reasonable price. Come her for delicious kesaribath, idli, dosa and coffee, the South Indian staples. With 20 odd locations in Bangalore alone, Vasudev Adiga’s is well on its way to becoming the next McDonald’s. The standard décor, ambience and food mean that patrons can expect quality food and prompt service irrespective of where they are in Bangalore. South Indian breakfast items like idly, vada, pongal, dosas and coffee are somewhat of a specialty in the Adiga’s chain. When Seattle’s own Starbucks Coffee made an appearance in Bangalore the ripple it made looked like a tsunami. When everybody in town just has to be seen here one could expect large crowds, bad service and bigger price tags. Starbucks however remains one of those reliable places where you can pick up a good coffee and a pastry and be rest assured that you have quality in your hands. The ambiance is much like the other great coffee shops in town. The baristas are courteous, willing to help and welcoming to say the least. If you are looking for a relaxing start to your day or for a zing of caffeine to kick start your day Starbucks will help you find your blend for the day. Timings: 10 am – 11 pm (Sun – Thurs); 10 am to 1 am (Fri – Sat). Price: Costs approximately Rs 500 for two people. Payment methods: Cash and all major credit cards are accepted. Meal type: Breakfast, quick bites. Smoke House Deli is an upscale restaurant that serves brilliant food with a friendly and courteous service. As an urban eatery the restaurant wouldn’t be out of place in any European or American locality. Smoke House Deli is the ideal place to head to for a relaxed Sunday brunch or a lazy breakfast any day of the week. With filling options like burgers and pastas, breakfast at Smoke House Deli will carry you through the day. A separate breakfast menu tantalizes patrons with options like pancakes, omelets and bagels. They are renowned for their dessert menu. Despite the rather unusual name, the place serves up good food at a decent price. The ambience is reminiscent of lazy Sunday mornings spent on your grandma’s porch. With indoor and outdoor seating, the restaurant is a perfect setting to spend lazy afternoons with good food and coffee. The ground floor of the restaurant houses a handicrafts store from the North East. 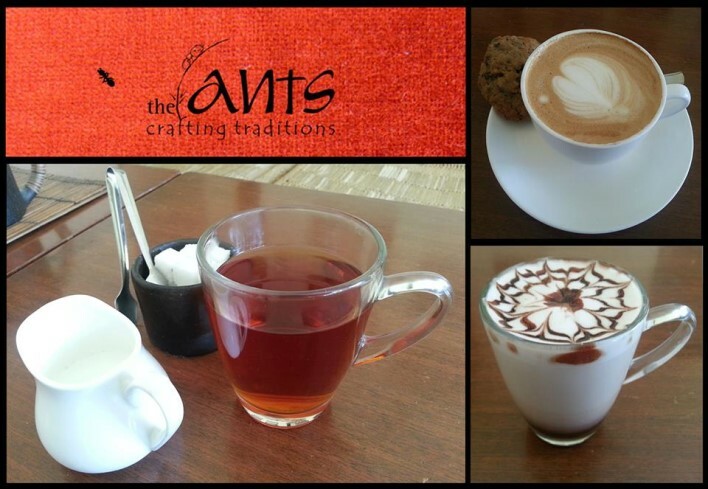 The restaurant offers a quiet respite from the busy hustle and bustle of the Indiranagar area. Good service and great food will likely replenish not just your appetite but also your spirit. And a little shopping never hurt anybody right?